Unity is a vision unwinding as each day passes. Unity is always filled with excitement and staying on the verge of the most fabulous trends in this industry. Day by day by day we continue to grow thanks to so much support all around us. The vision of Unity started with Christian and Angela Magnuson. In 2005 they purchased a woodworking company that provided wood mounts to the stamping industry. They worked into the wee hours of the night providing for their family of six and consistently dreamt of a brighter future. Visions, dreams and ideas started to become reality in November of 2007. They were given the opportunity to start moving forward to create Unity Stamp Company. With a business plan in hand and no formal experience in the stamping industry, they jumped in feet first. Learning as they moved forward and having faith that what was necessary in launching their company would become available as they needed it. They were successful in meeting their goal of attending their first CHA show in January 2008. In just 60 days, they put their first line of stamps together, set up manufacturing, created a catalog, acquired a design team, had samples made for the show, put together a booth, and launched their company. Talk about angels watching over them. It was a busy time that produced a whole TON of excitement! It was this un-wavering faith, perseverance and support of a whole bunch of amazing people that has made Unity Stamp Co. what it is today. Unity Stamp Co. offers over 60,000 sentiments and images. Every single stamp is manufactured within the walls of Unity Stamp Company – so we can shout from the rooftops that our products are all made right here in the grand ol' United States of America. Isn't that the best?! The people within the walls of Unity control the quality of our product. That VERY quality of deeply etched red rubber is what has made our line of stamps so brilliantly popular. THIS is a beautiful thing. You may hear us say "cook to order" as each and every stamp sold is cooked, cut and packaged right here, which is why our normal processing time is 5 to 7 business days. Our line of stamps has been said to stretch people to new creative heights. We love that. Our unique and trendy images come from our Unity Stamp Company Artists – a group of AMAZING women with phenomenal talent that we are eternally grateful for each and every day. Our images and kits also come from established artisans. Unity has joined some of your favorite artists and companies in this industry to exclusively provide their images/art in red rubber. Unity has three amazing design teams filled with women of creativity and passion for their art. These design teams have been supportive, loyal and remain as a huge part of the Unity family. Women that started out as strangers have grown into friends and remain supportive and amazing as Unity continues to grow, stumble, fly - repeat. :) - Unity is extremely appreciative of all the hard work and thousands of blog posts that have been made of behalf of our growing company. Unity Stamp Co. is more than just another rubber stamping company. We base our integrity and service on inspiration, motivation, positivity and enjoying the creative side of life. We love to encourage our family of customers to strive for the very best this life has to offer. It is important to all 12 employees inside Unity that you as a customer feel valued and know that you are appreciated every single day. You can find us on Facebook and in numerous publications. We offer daily blog posts written from the perspective of several different people. Angela, the Unity Design team and even some of our customers publish on this blog every single day. 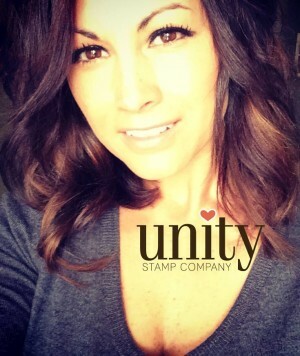 You will get the "feeling" behind Unity Stamp Company with each blog post. We are looking forward to a very bright future providing opportunity through Unity to all those who come in contact with us. We love our customers, we love our product and we are so happy to be part of this growing, warm, and inviting industry. Come join us on our journey - we would love to have you!